Better Posture = Better Health | Dora Jackson, R.M.T. 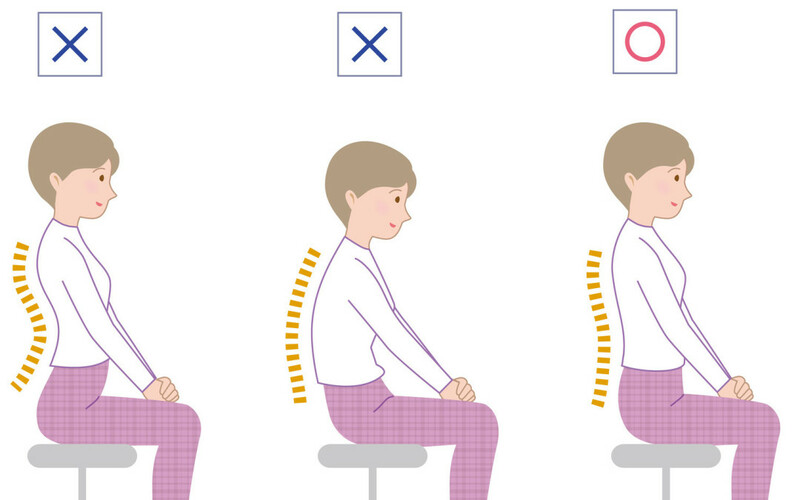 Good posture is something very few of us pay anything but passing attention to. In a culture where office workers routinely spend 8 – 10 hours slumped in front of a computer every day, we tend to regard holding ourselves upright as something we only do when we want to impress. But good posture is an integral component to overall health. Beyond the obvious benefits of improved balance and appearance, the way we stand, sit , move and sleep have the potential to improve or worsen the function of almost every system in our bodies. Bones support the body’s structure and connect to other bones at joints via ligaments. Muscles move bones at joints and receive their signals from nerves. Posture, motion and balance depend on bones, ligaments, muscles and nerves working in a coordinated and synergistic manner. The body learns what you teach it. Patterns of motion will adapt to each individual’s body type, history of injuries and daily habits. Our bodies will always follow the pattern of least resistance and avoid pain or discomfort by adapting to move differently. Posture is also a physical manifestation of how we feel. As the summer fades, we will unconsciously hunch forward in an attempt to retain warmth. Just that small shift can shorten the neck muscles, decrease lung capacity, impair digestion, compress nerves and increase fatigue. Over time, ligaments will overstretch, some muscles will overwork while others will weaken and nerves will develop muscle memory that continually reinforces an inefficient pattern of motion. We adapt to doing whatever we do repeatedly and practice makes permanent! What can we do to improve posture? Firstly, to quote a well known saying, you’ve got to use it or lose it! Most of us are going to become less active in the coming months and the fluids that keep the body lubricated will become stagnant. Humans simply weren’t built to sit still for hours at a time. Muscles and joints need to be taken through their full range of motion regularly in order to retain freedom of movement. Strength and flexibility can be gained or lost in as little as a few days so now is the time to maintain and build on what we have achieved over the spring and summer. Conversely, doing a singe movement or action over and over can create serious muscle imbalances and pull our joints out of proper alignment. As far as posture is concerned, once something is out of kilter the body is more likely to hurt itself. So, for each action we do in one direction we need to do the opposite action in the opposite direction to maintain balance. The muscles we use the most need to be stretched and kept supple while those we use less need to be kept strong. A good place to start is to get a postural assessment from a qualified health professional. Once you know your strengths and weaknesses, you can begin to take steps toward balance. There are also several movement therapies (eg. Yoga, Pilates, Alexander Technique) that can help the body reprogram itself. In the meantime, here are a few simple exercises that most people can benefit from. Thread a ruler behind your shoulders through the armholes of a sleeveless top. This will keep your shoulders back and help to open up the chest. Keep the ruler in place for about 15 to 30 minutes daily. While seated against a wall, tuck your chin and lengthen the back of your neck along the wall toward the ceiling. Hold for 30 – 60 seconds. This is a great one to do when driving using the headrest on the back of your seat. Try it the next time you’re stuck in traffic or just waiting for a stoplight.